When the weather starts growing chilly in the Northern Hemisphere that can mean only one thing: time for the offshore racing community to start eyeing round-the-world record attempts. At press time this meant no less than four different campaigns at sea constituting two distinct match-races reminiscent of the clipper ship races of old, in which two or more captains would set out with the same goal in mind at roughly the same time. The first of these, between the maxi-trimarans Spindrift 2 and IDEC Sport, came as no surprise to anyone. 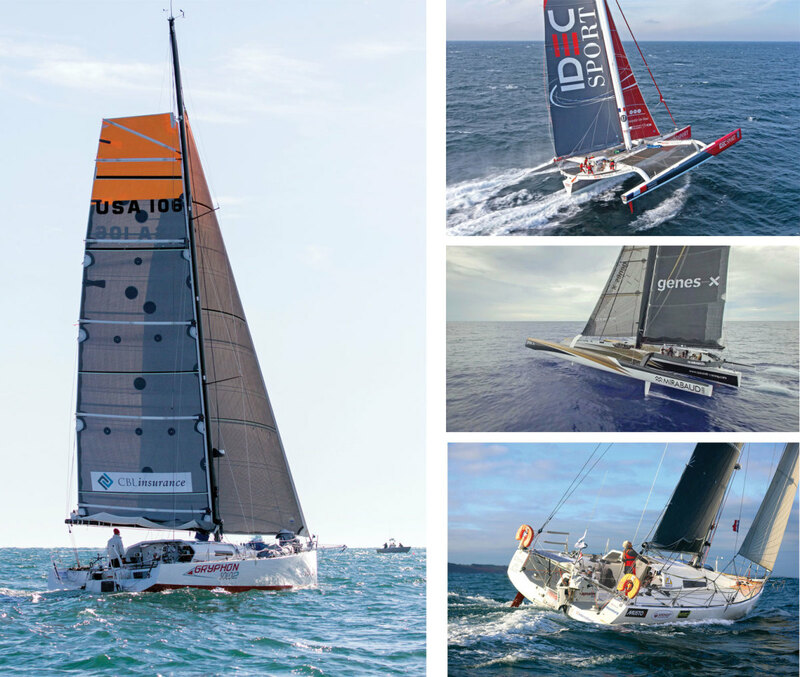 The Sprindrift 2 effort, led by Swiss sailor Dona Bertarelli, has been working its way toward a well-publicized 2015-16 Jules Verne Trophy for years: same thing with IDEC Sport, led by French solo-sailing legend Francis Joyon. The second round-the-world match race, though, between American Class 40 solo sailor Joe Harris and German sailor Henrik Masekowitz, came as a bit of a surprise. In fact, Harris, whose attempt to set a new solo round-the-word 40ft-and-under record has been well documented by SAIL, only discovered he had company out on the briny after he was already at sea. 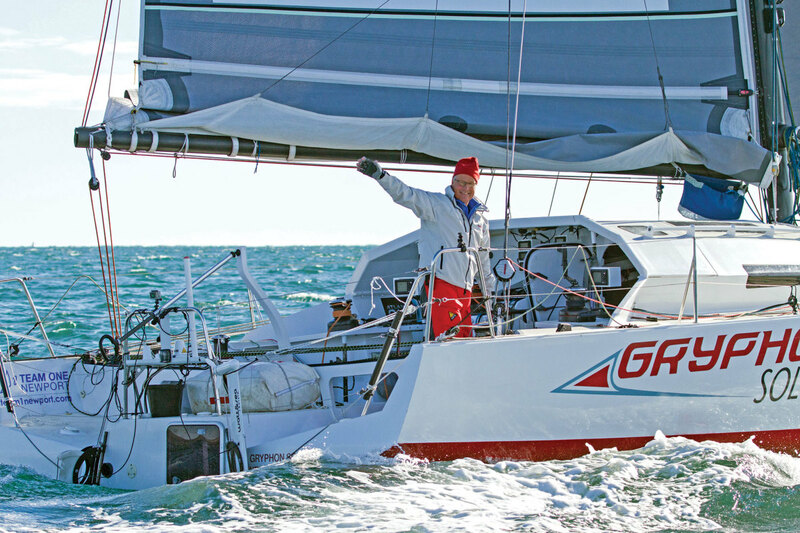 As for Masekowitz, who set sail on November 17 from Douarnenez, France, aboard the Class 40 Croix du Sud, some problems with his generator and a frustrating time in the Doldrums served as a bit of a setback early on, but at press time he remained undaunted—no surprise, given his background as a Mini-Transat veteran. Both boats were designed by French naval architect Marc Lombard and built in Tunisia by MC-Tech, with Croix du Sud launching in 2007 and GryphonSolo2 launching in 2011, so you couldn’t ask for a more closely matched pair. The time to beat is 137 days, set back in 2013 by Chinese sailor Guo Chaun, also aboard a Class 40, so with luck we’ll be seeing both sailors returning home sometime next month. Who gets there first, though, is anyone’s guess! As for Joyon and Bertarelli, the time to beat was 45 days 13 hours, a mark that was set in 2012 by Loïck Peyron and his crew aboard the 130ft maxi-tri Banque Populaire V, which means they will have either made it back home or packed it in about three weeks before this issue hits newsstands. Despite the fact that both boats were regularly hitting 30 knots in the first half of their two attempts, success for either was far from certain given how high the bar has been set. One the one hand, vital to success in this kind of sailing is minimizing breakdowns; on the other you need to find a way to navigate from weather system to weather system, linking them up so that you spend as much time in strong winds as possible. Of course, both these things require great skill and more than a bit of good luck. To find out how Bertarelli and Joyon did, and how Harris and Masekowitz are faring, go to sailmagazine.com/racing.